HELP!! cant re fit brake pads! didnt have major issues removing the caliper other than it being a bit tight with the pads. 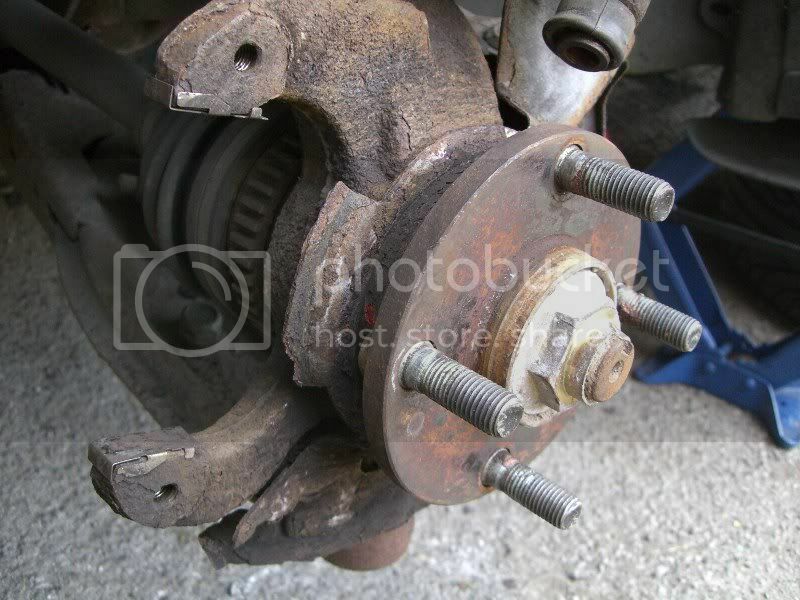 Now, I have had a clunk for a while which I thought was a sticking caliper, it may well be but I found the rear of the brake discs SCREWED, i mean eaten to bits. The rear pad is unevenly worn-more worn at the top, less at the bottom. So, when I come to fit my new disc and pads, I cant get the new pads in, it appears that if I turn the disc, it acts like it is warped. The caliper bolt fixing actually touches the disc at one point during the discs revolution, then pulls away with plenty of space. Obviously I dont want to fit every thing as is, because its going to screw the discs up again and i will be back at square one. am i fitting the disc right>? its just when I fit the disc, then the caliper, the nearest pad simply wont fit in, where the rear has loads of room and is fine…. That isnt as bad as you think, new set of pads and new pair of discs and she will be fine, I see this quite a bit, the pad has become damaged and is not contacting properly and that is why you have a clean band around the disc and you can see the disc is badly delaminating because it has been excessively rusty. If that is the front set it could be the pads have worn unevenly, look at the pads side on you may see they are angled slightly or the pads are just a very cheap set and some of the pad material has come away. yes, I was half way through painting when I thought, hang on, these pads dont fit!! cheers Marco, perhaps youre right, perhaps its just me. Its just when I first refitted the caliper to test everything was ok, I could get the rear pad in no problem, loads of space, but the nearest pad I couldnt, just no space to fit on. I'm worried that the turning of the disc is going to hit the caliper mounting, but i have no idea what the issue could be. Could it be the hub perhaps?? the pins i have, look ok, is it still ok to use them?? if its not wanging it down tomorrow, i will have another bash…. 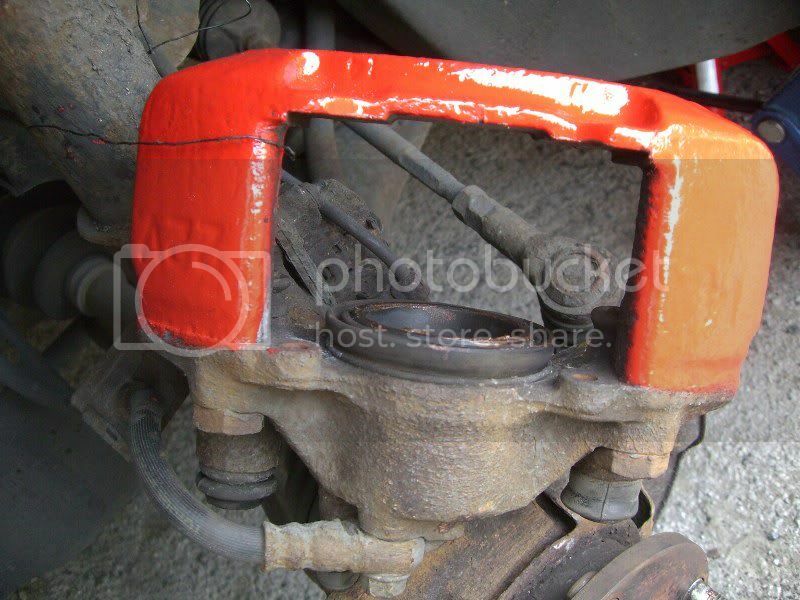 i thought you had to put the pads in the callipers before you put the callipers back on? no idea to be honest, this is my first attempt with MX3 calipers, bit different to mx6's!! is it possible there is an issue with the hub being uneven or something?? 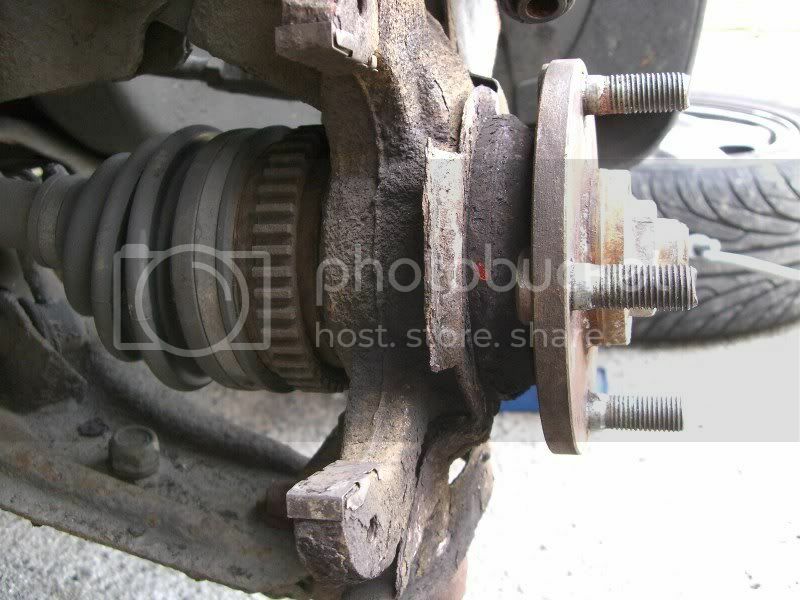 well, best way I can describe my predicament withpics or video, is imagine me fitting the pads to the calipers as you suggest, then attempting to bring the caliper back over the disc, and it creating a "wedge", by pulling the disc inwards and out of alignment…. the issue is (im fairly sure) seized caliper sliders! Im fairly sure, because i had to use a hammer, to get them furthur out in order for the pads to fit. 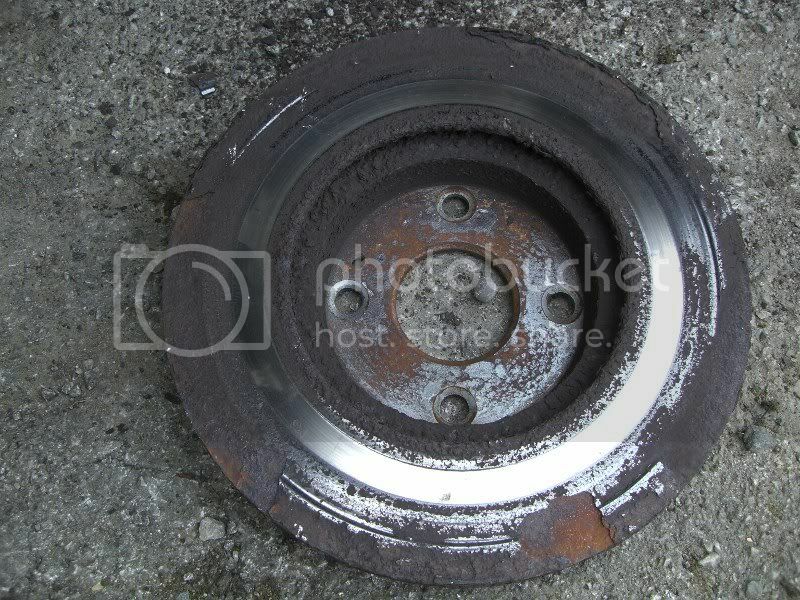 I have ordered a new set, but at least this explains why my brakes have felt so crappy lately! Having just read though this i was gonna suggest have you looked at the sliders for wear,..had this issue on wes and he needed new sliders before i could replace the discs and pads on him…. so, just so im 100% clear, the sliders that are fitted into the caliper top and bottom with the rubber bits either end 9that the bolts go through), they should actually move, right? because if so, i need another set for the drivers side as well, i cant move by hand…..
ah yes, I did notice the lower one was different in that its darker and shorter, good job you pointed that out otherwise id have bashed that out too with my hammer! I've just replaced my pads and found the sliders well and truly rusted in. After teasing up the rubber end caps, carefully putting WD40 under the rubber and then using a bolt to pull the slider tube through one way then the other I managed to get the sliders moving (after a fashion) but I clearly need new sliders. Ive got a front caliper dragging so assume its a sticky slider and breifly looked into a replacemtn. There is a company called Bigg red ltd who remanufacture parts like this so might be worth a call to them. Thanks for the lead. Odd that you should have suggested Big Red as I looked on ebay earlier and found some sliders (not MX-3) and some complete caliper refurbish kits (including MX-3) so I emailed them and now wait to see what they can offer. I will let you know when I get their reply.